How about training: are all employees up to date? what training is overdue? If you need to conform to the latest requirements of ISO 9001, AS 9100, ISO 14000, ISO 22000, FSSC 22000 and HACCP - we are here to help! If you simply want to improve the quality of your products and services, reduce waste, eliminate unnecessary expenses, mitigate risk, save money and keep in compliance, then you are definitely at the right place. 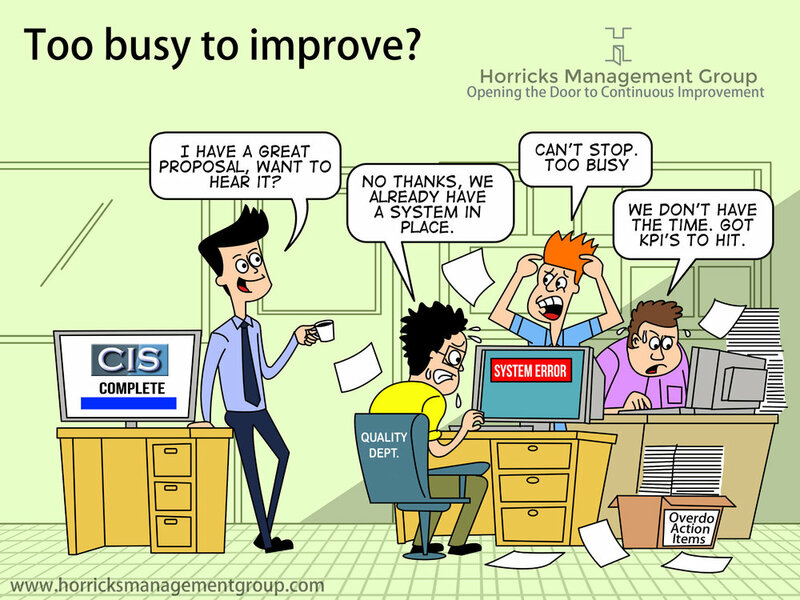 CIS - Continuous Improvement Software saves you time and money by automating the daily tasks of managing your quality system. By handling the tactical issues, CIS frees up your resources to tackle strategic initiatives that lead to continuous improvement and happier customers. It conforms to the latest requirements of ISO 9001:2015, AS 9100, ISO 14000, ISO 22000, FSSC 22000 and HACCP. CIS has proven itself throughout North America since 1999. We take the worry out of compliance in a simple, cost-effective package. Not only will it handle your most demanding mission-critical applications, but we provide you with tools to create new databases and customize modules within CIS to match your processes - without the need to hire outside programmers. No need to change the way you do business to fit this software - CIS changes to fit you! to drive dramatic revenue growth, increase the effectiveness of your processes and deliver sustainable profit. Horricks Management Group has the brightest, most experienced C-Suite executives in the country. We know your business deserves the best, and we offer you the best. Our Executives have 20+ years of continuous improvement solutions implementation, executive sales and marketing, quality system management and business leadership experience. We provide continuous improvement solutions to grow revenues, conquer the paperwork monster, manage key business documents and apply lean sales techniques to sales, service and production operations. 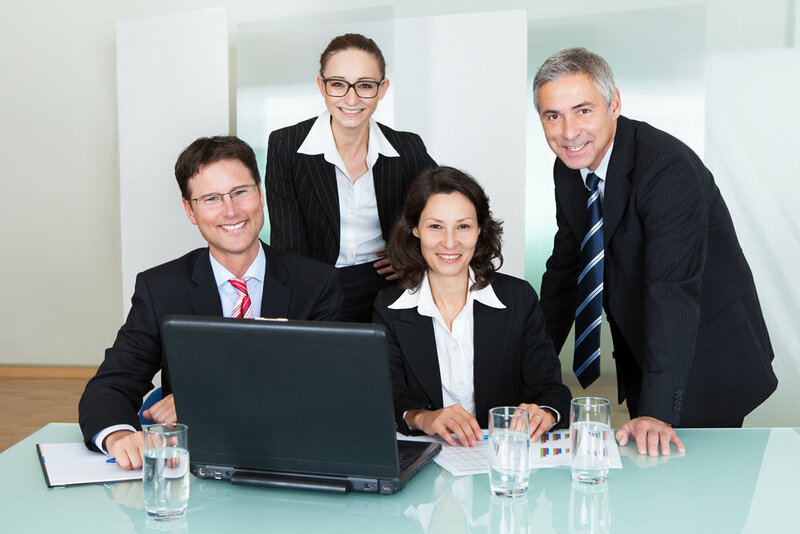 We use our extensive executive leadership experience to help your organization meet its vision and goals. HMG consistently delivers sustainable performance improvement through the creation of strategy, process and execution.